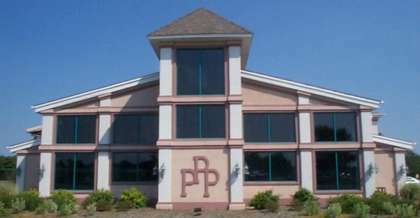 Our theater, Possum Hall, is located in Georgetown, Delaware just southeast of the intersection of Route 9 and Route 113. Possum Hall is a big glass-front building with a big Possum sign out front. NORTH FROM MILLSBORO on Route 113 N, we are located one block south of the light at Routes 9 and 113. On your left will be a shopping center. Turn right (east) onto Old Laurel Road. The Sussex County Administrative Offices will be on the corner.